Finding Edith: Surviving the Holocaust in Plain Sight is the coming-of-age story of a young Jewish girl chased in Europe during World War II. Like a great adventure story, the book describes the childhood and adolescence of a Viennese girl growing up against the backdrop of the Great Depression, the rise of Nazism, World War II, and the religious persecution of Jews throughout Europe. Edith was hunted in Western Europe and Vichy France, where she was hidden in plain sight, constantly afraid of discovery and denunciation. Forced to keep every thought to herself, Edith developed an intense inner life. After spending years running and eventually hiding alone, she was smuggled into Switzerland. Deprived of schooling, Edith worked at various jobs until the end of the war when she was able to rejoin her mother, who had managed to survive in France. After the war, the truth about the death camps and the mass murder on an industrial scale became fully known. Edith faced the trauma of Germany’s depravity, the murder of her father and older brother in Auschwitz, her mother’s irrational behavior, and the extreme poverty of the post-war years. She had to make a living but also desperately wanted to catch up on her education. What followed were seven years of struggle, intense study, and hard work until finally, against considerable odds, Edith earned the baccalauréat in 1949 and the licence ès lettres from the University of Toulouse in 1952 before coming to the United States. In America, Edith started at the bottom like all immigrants and eventually became a professor and later a financial advisor and broker. 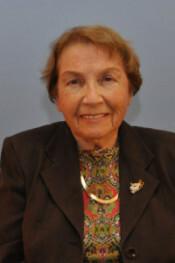 Since her retirement, Edith dedicates her time to publicly speaking about her experiences and the lessons from her life. 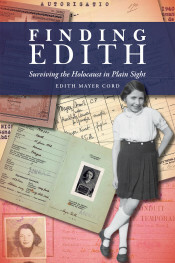 Born in Vienna, Austria, in 1928, Edith Mayer Cord fled from country to country because of religious persecution. Separated from her family, Cord managed to survive the Holocaust in hiding. After the war, she focused on catching up on her education before coming to the United States. Cord worked as a college professor of French and German before becoming a securities broker, financial adviser, and certified financial planner. She is married, with three children and seven grandchildren. She currently lives in Columbia, Maryland.